With Valentine’s Day only a day away, Swagbucks.com has announced a great way to celebrate — by getting more Swag Bucks of course! It’s their Be My Valentine Swag Code Extravaganza, and it’s starting on Friday, Feb 14th at 6am PST. The day will be filled with love quizzes, pet names, hearts galore… and multiple Swag Codes of course. In fact on Friday, you can get up to 25 SB in Swag Codes alone — that’s a sweet Valentine’s Day gift that will help you get your free gift cards even sooner. 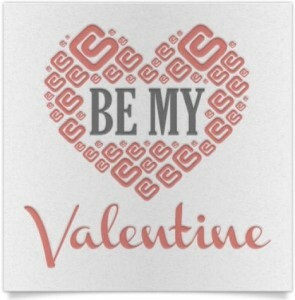 During the Be My Valentine Extravaganza, check Swagbucks.com as well as their Facebook, Twitter, Pinterest and blog to grab all the Swag Codes. Haven’t started with Swagbucks yet? It’s a great way that I personally use to pay for many Amazon purchases, anything from books to diapers. 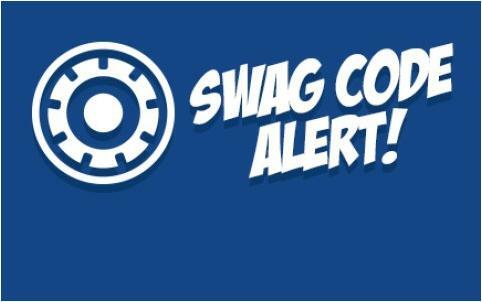 All you have to do is sign up here and start collecting Swag Bucks for the things you do online, like Searching, Shopping, Watching videos — and of course redeeming Swag Codes for bonus SBs. If you don’t know about Swagbucks yet, it’s the largest rewards website that gives people free gift cards for the things they do online. In addition to earning Swag Bucks through the Search engine, playing Games, Watching videos, taking Surveys &amp; more, they also like to give out Swag Codes for bonus Swag Bucks. The more Swag Bucks, the more free gifts cards! In fact, Swagbucks.com has helped me pay for Papa Johns Pizza and many, many Amazon purchases! Don’t miss out on all the savings and free rewards — sign up for Swagbucks here. If you don’t know about Swagbucks yet, it’s the largest rewards website that gives people free gift cards for the things they do online. In addition to earning Swag Bucks through the Search engine, playing Games, Watching videos, taking Surveys & more, they also like to give out Swag Codes for bonus Swag Bucks. The more Swag Bucks, the more free gifts cards! In fact, Swagbucks.com has helped me pay for Papa Johns Pizza and many, many Amazon purchases! Don’t miss out on all the savings and free rewards — sign up for Swagbucks here. In addition to earning Swag Bucks through the Search engine, playing Games, Watching videos, taking Surveys & more, they also like to give out Swag Codes for bonus Swag Bucks. The more Swag Bucks, the more free gifts cards! In fact, Swagbucks.com has helped me pay for many Amazon purchases. Don’t miss out on all the savings and free rewards — sign up for Swagbucks here.